2013 Pro Challenge winner and Aspen resident Tejay van Garderen whizzes by spectators after crossing the finish line, Stage 7. 2013 Pro Challenge winner and Aspen resident Tejay van Garderen signs a volunteer's t-shirt, after the ceremonies are over. 2012 Pro Challenge winner Christian Vande Velde, left, is retiring this year. Matt Cooke, pro cyclist with Jamis Hagens Berman, won the King of the Mountains jersey. Spectators in Denver waiting for racers, Stage 7 of 2013 USA Pro Challenge. Spectators watch Stage 7 of the 2013 USA Pro Challenge. Denver Police watch a Jumbotron showing Stage 7 of the 2013 USA Pro Challenge. Spectators at Stage 7 of the USA Pro Challenge. Spectators near the Colorado Stage Capitol and Civic Center Park in Denver, during Stage 7 of the 2013 USA Pro Challenge. A band plays for spectators gathering near Civic Center Park in Denver. USA Pro Challenge 2013. The USA Pro Challenge finished up in Denver on Sunday. After a week crossing Colorado, competitors in the international bike race made several laps in the heart of Denver. In the end though, it was a far different finish than a year ago. It was a moment three years in the making. After two near misses, pro cyclist Tejay van Garderen finally clinched the yellow winner’s jersey. Van Garderen, who recently moved to Aspen, said it felt good to win. After his first place finish, van Garderen and other top riders made their way to a nearby press conference. Some had beers in hand as they answered questions... It was a far more relaxed and playful scene than the end of the race last August. van Garderen had just barely lost to veteran Christian Vande Velde. Now, Vande Velde is retiring. And he talked about how different cycling is now than when he started. A thinly veiled reference to doping, and how many say the sport is now cleaner. Vande Velde recently served a six-month suspension for doping in the past. He was once a teammate of Lance Armstrong, and was part of the investigation into whether Armstrong doped. This is the first year a European cracked the top three for overall winner. Tour de France champion Chris Froome, on the other hand, quit the race before it finished Sunday. He reportedly had problems breathing. While there are two other major cycling races in the US, Colorado is known for enthusiastic crowds. Riders were asked on Sunday what it’s like to be surrounded by spectators… some wearing outrageous costumes. Third place winner Tom Danielson spoke up. That was at the Vail time trial where a woman was captured on video, fully exposing her chest as he rode by. It was a big hit on Twitter. Spectators often end up getting a lot of attention. Its a barometer of sorts for how popular the event is. Crowds at the finish Sunday didn’t look as big as in years past… although there was enough activity to nearly disable cell coverage in certain areas. CEO Shawn Hunter said TV ratings also point to lots of people paying attention to the race—early numbers show ratings are up thirty percent over last year. It’s hard to gauge the financial boost from people gathering and cheering on cyclists. In Aspen and Snowmass Village officials will be gathering public comments this week to better assess the economic impact of the USA Pro Challenge. In a week, more than a hundred residents of the Roaring Fork Valley will be standing at the ready for the USA Pro Challenge. Volunteers will be course officials, media helpers, and help with other logistics to help the cycling race go smoothly. It’s all been done before in previous editions of the race--but this year, volunteers for Aspen and Snowmass Village are prepared to spot terrorists. On the show this week Carolyn Sackariason, Editor of the Aspen Daily News and Andy Stone former Editor of, and now Columnist for, the Aspen Times join us to discuss the top news stories in the Valley. We talk with Associated Press Reporter Ivan Moreno about an audit of Colorado’s medical marijuana sector. On the Download Aspen Public Radio’s Digital Content Manager Rob St. Mary tells us about sites that might allow people to limit the amount of digital information collected on them by the government. Aspen has a full city council again. Former council member Dwayne Romero has been selected to fill a vacancy created by the election of Mayor Steve Skadron. Also returning this week are the mammoth and mastodon bones recovered in Old Snowmass. The fossils are on public display not far from where the animals died tens of thousands of years ago. We talk with a biologist about tree killing insects and how they actually affect human health. Our science reporter does what everyone’s mother says not to…look straight at the sun. And we’ll hear about a work of art about the Colorado River that’s on display in downtown Chicago. On the show this week Curtis Wackerle, Managing Editor of the Aspen Daily News and Andy Stone, columnist for and former Editor of the Aspen Times, join us. Voters in Aspen, in a runoff election, chose current city council member Steve Skadron to become the next mayor. On the show this week Curtis Wackerle, Managing Editor of the Aspen Daily News (http://www.aspendailynews.com) joins us to discuss the top news stories in the Valley. We talk with Karl Isberg, Editor of the Pagosa Springs Sun (http://www.pagosasun.com/) about the huge West Fork Complex fire burning in southwest Colorado. The Senior Editor of the National Review (http://www.nationalreview.com,) Ramesh Ponnuru was in town this week for Aspen Ideas and to talk with Pitkin County Republicans. He speaks to us about rebuilding the GOP. NPR has moved into its new building and already conservative critics are calling the studios extravagant and a waste of taxpayer money. We ask NPR’s Marketing Director, Emma Carrasco, about the new digs. 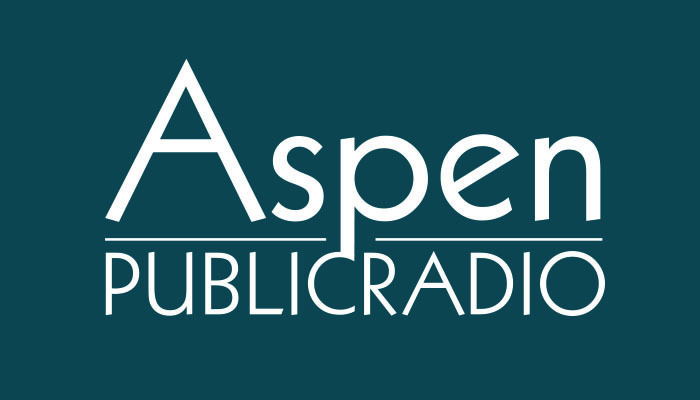 On the Download Aspen Public Radio’s Digital Content Manager Rob St. Mary interviews Tony Fadell, designer of the iPod about his new creation; a smart (and good looking) thermostat.